Last summer, my sista Melissa introduced me to a healthy, grain-free breakfast bowl that even her one year old daughter loved to eat! Her version of the breakfast bowl is with butternut squash but since I'm not the biggest fan on butternut squash, I decided to substitute in sweet potato. The author of the original recipe recommends this as a grain-free alternative to oatmeal. Since I like to say I'm on the bridesmaid diet these days, I am open to many grain-free meals---and this is a delicious one! This can be a quick breakfast too if you roast your sweet potatoes ahead of time and all that's needed is a quick reheat before assembling the bowls. 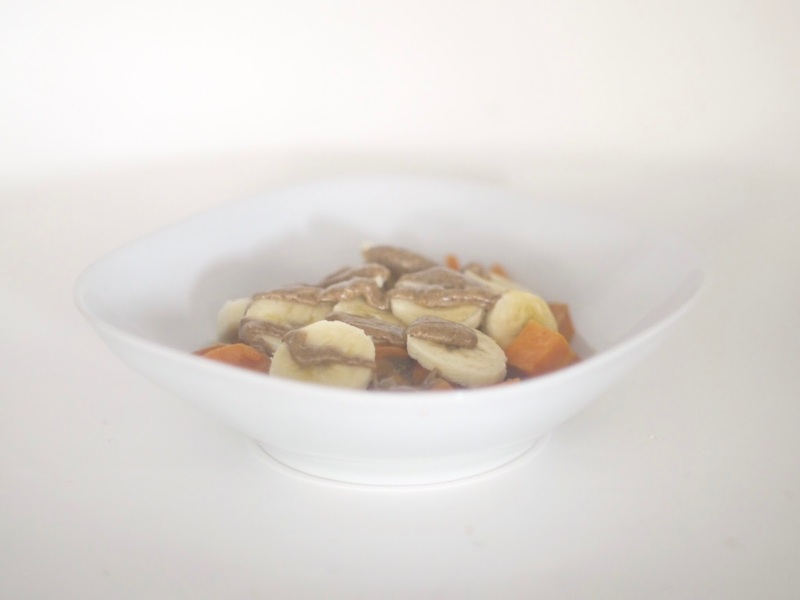 I like to keep it simple with almond butter, a drizzle of honey and bananas but shredded coconut, cinnamon, nuts, pumpkin or sunflower seeds are all great toppings too. optional: shredded coconut, dash of cinnamon, slivered almonds or other nuts, pumpkin or sunflower seeds, etc. 1. Reheat sweet potato in microwave or on stovetop in a small saucepan until warmed. 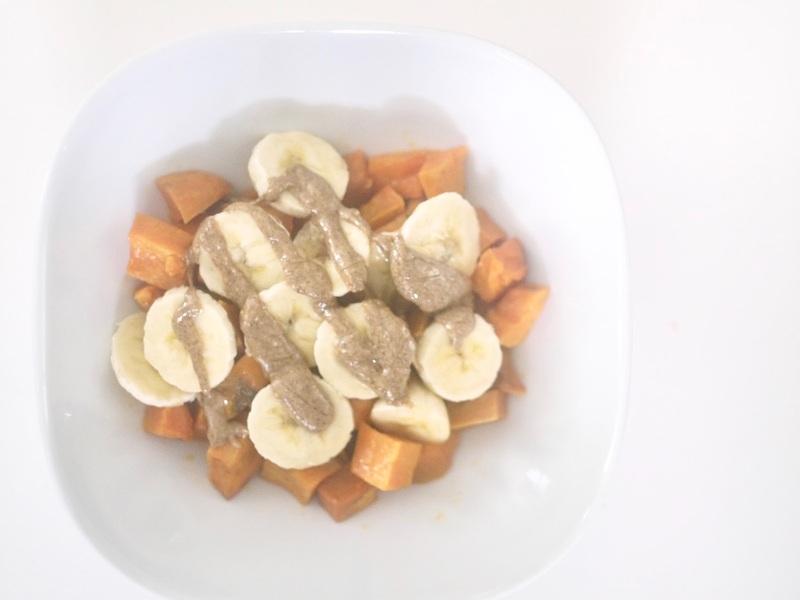 Assemble bowl by first adding in sweet potato then topping with sliced banana, almond butter and honey.